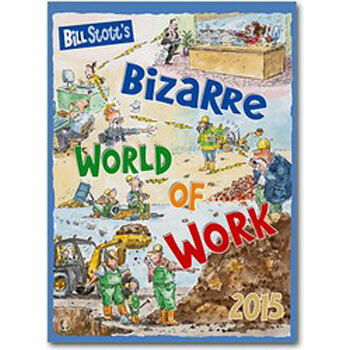 Bizarre World of Work Calendar is a selection of eccentric British workplace images, by the hilarious genius, Bill Stott. The 13 leaf calendar has a gloss varnish cover and is wire bound at the top. This vibrant calendar displays your corporate branding in a dynamic way. Contact us directly for design and printing options.